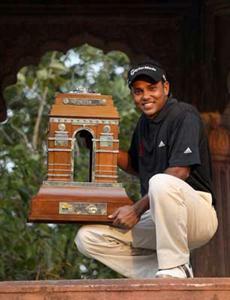 Shiv Shankar Prasad Chowrasia is one of the top Indian golfer at present. He is the winner of the 2011 Avantha Masters, a very prestigious golf tournament. Here is given more about this Indian golfer. 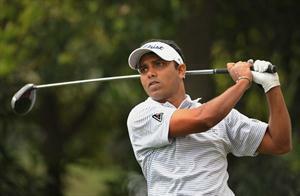 Shiv Chowrasia is a very talented professional golfer from India. Currently playing for European Tour and Asian Tour, he is among the top golfer of India. He born on 15 May, 1978 at Kolkata (India). He started to play professional golf in 1997. In 2001, he won his first golf title at Singhania Open - a golf tournament at Indian Golf Tour. His first big win came at Hero Honda Open in 2003. In 2006, he started appearing in Asian Tour events. He won his first Asian Tour title at 2008 Emaar-MGF Indian Masters where his score was 279. This tournament was also co-sactioned by European Tour. He become the third Indian to win an European Tour event. The same year, he won the Order of Merit at Asian Tour. In 2011, he won India's most prestigious golf tournament Avantha Masters with a score of (70-69-67-67=273). The tournament was co-sactioned by Asian Tour, European Tour and Professional Golf Tour of India (PGTI). Fidel Concepcion is a famous name in the field of golf. He believes in fearing nothing and makes his way straight ahead into the paths of success. To know more about his biography and profile, check this Fidel Concepcion wiki article. Mi-Jeong Jeon is a famous name in the field of golf. She is one among the top ten golf players in Korea and Japan and is still continuing to rise as one of the all time bests. To know more about his biography and profile, check this Mi-Jeong Jeon wiki article. This article gives you complete information about Luke Donald who is a professional British golf player . More information relating to the biography and profile of Luke Donald is quoted in this article. Read the article full for more details. This article gives you complete information about Rory McIlroy who is a professional Northern Irish professional golfer. You want to know more about biography and golf career of Rory McIlroy then read the full article. Philip Alfred Mickelson is an American professional golfer. He has developed into one of the most successful players of his generation. He won four "majors" : the Masters in 2004, the PGA Championship in 2005 and again in 2006 and 2010 Masters. You want to know more about biography and golf career of Phil Mickelson then read the full article.